A small piece of the Cotswolds exists in America at Greenfield Village, Dearborn in the State of Michigan USA thanks to Henry Ford. 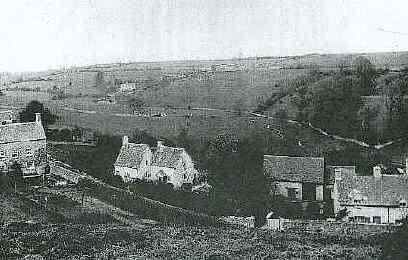 Rose Cottage, up until 1930, resided in the village of Chedworth which nestles at the bottom of a deep valley between the town of Northleach and Cheltenham. The 350 year old cottage, if still in its original location, would be far from horizontal and perpendicular as it stands today! In its new setting Rose Cottage is surrounded by a Victorian flower garden and is the oldest building and one of the most picturesque in Greenfield Village. Henry Ford also tried to buy the famous row of Cotswold Cottages at the village of Bibury, known as Arlington Row and also St Peters Church in the ancient Anglo-Saxon town of Winchcombe. 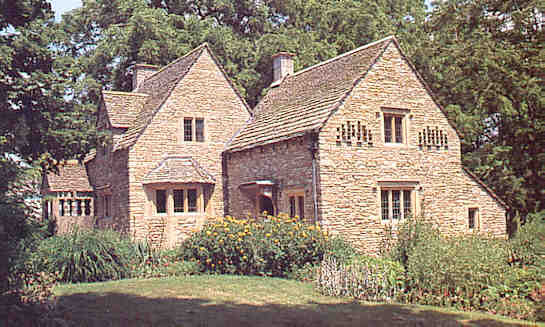 A picture of Rose Cottage (centre building), taken in 1929, in its original Cotswold setting at Chedworth village. It was bought on behalf of Henry Ford for $5000 and dismantled and shipped to America in 1930. The cottage was originally built in the 1600's. A similar cottage today in the Cotswolds would be valued at circa £500k and be officially protected. 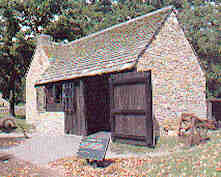 The picture above is of a typical Cotswolds Forge originally built in the early 1600's and also relocated by Henry Ford to Greenfield Village. The forge had been operated by a Cotswold 'Smithy' without interruption for 300 years.